Andrew Williams is a former BBC documentary maker and the author of two best selling histories of the Second World War. 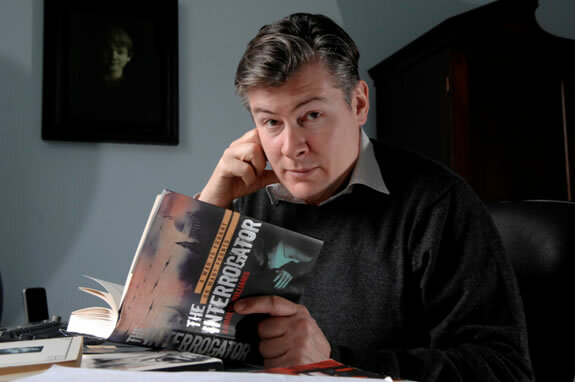 His first novel, The Interrogator was short listed for two CWA awards, and was both Shots' historical novel and The Daily Mail's debut thriller of 2009. His second novel is set in the Russia of tsars and revolutionaries at the end of the nineteenth century. In this feature, Andrew explains how the story of To Kill A Tsar began, not in Russia but on the streets of Belfast and Derry. Tony Miller was one of the IRA's most successful bombers. After fourteen years I can still picture the hard lines of his face as he described how he reduced the centre of Derry to a pile of rubble. Tony Miller took pride in his work. In the two years I spent making a BBC series on the IRA I met many men like Miller, single minded, prepared to bomb and kill, prepared to risk imprisonment and death for their cause. The H Blocks of the Maze Prison where ten IRA terrorists starved themselves to death for political status has never left my imagination. Perhaps it was there the spark for the story that has become To Kill A Tsar was kindled. Ten years after the IRA documentaries, a dozen programmes, two children, and a move from London to Edinburgh later, I began researching the first Russian revolutionaries for another BBC series. Different countries, different cultures, a hundred years of history separate these Russian terrorists from the members of the IRA I'd met and yet I was struck at once by the similarities in their stories. For Figner - and many terrorists since - this promise to offer her own life for the group's cause helped absolve her in her own mind of the guilt she might have felt at the taking of other peoples' lives. Like a cult - the tougher the vows, the greater the sacrifice the better. The imprisonment and death of members of the group -our martyrs- only helped to stiffen the resolve of those who were left. Avenging lost comrades became almost as important as the revolution itself and made compromise with the authorities an impossibility. As any soldier will tell you, it's easier to die for a friend than a cause. Looking back many years later at her life inside the terrorist group, Figner admitted that it had ?created a cult of dynamite and the revolver, and crowned the terrorist with a halo - murder and the scaffold acquired a magnetic charm - for young people. Disenfranchised, disillusioned with the state, they were excited by secrecy and comradeship, by adventure and danger and killing. And so it was for many of the young men and women who became terrorists in Northern Ireland. The hero of To Kill A Tsar, Dr. Frederick Hadfield shares my fascination with this 'cult of dynamite and the revolver'. He is a member of St Petersburg's Anglo-Russian community, a foreigner, a liberal - a sort of 19th century champagne socialists - viewed with mistrust by conservatives and revolutionaries alike. For a time, he enjoys the adventure of associating with women wanted by the tsar's secret police, he helps at the clinic they run for the poor, and he admits to sympathy for their cause, but he is outspoken in his opposition to terror. Then he falls for someone he shouldn't, a committed member of 'the cult of dynamite', a woman like Figner who has taken a vow to free herself from 'petty personal consideration' - from love. What does the man of principle do? 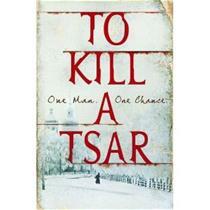 He is in danger of being drawn deeper and deeper into a conspiracy to assassinate the tsar. Is the woman he loves too tightly locked inside the self righteous bubble of the group to consider a different life? To Kill A Tsar is the story of the British liberal - you and me - tested by love and the hour in a country sliding towards revolution.